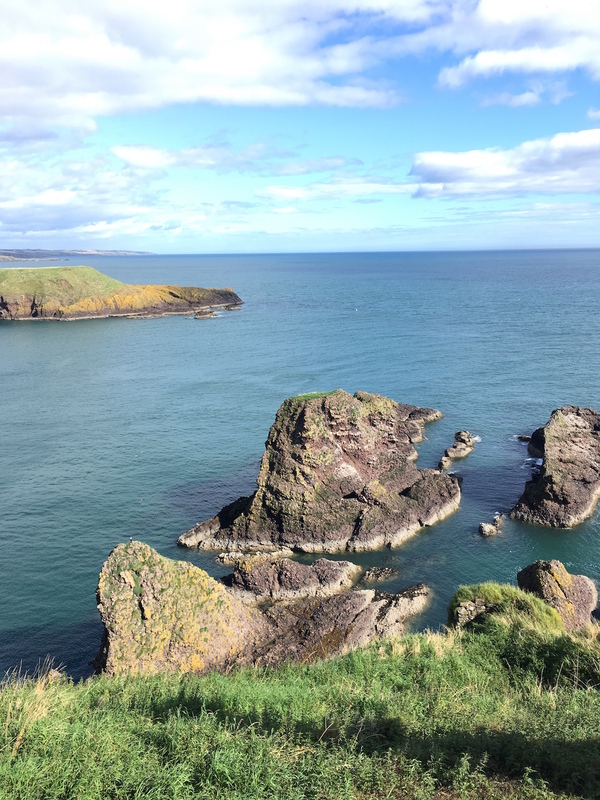 Scotland has been voted the most beautiful country in the world by the Rough Guide. I agree with that sentiment. New Zealand has more striking landscapes but Scotland has history and culture and it’s also safe – no earthquakes, tsunamis, volcanoes, cyclones, or dangerous animals. 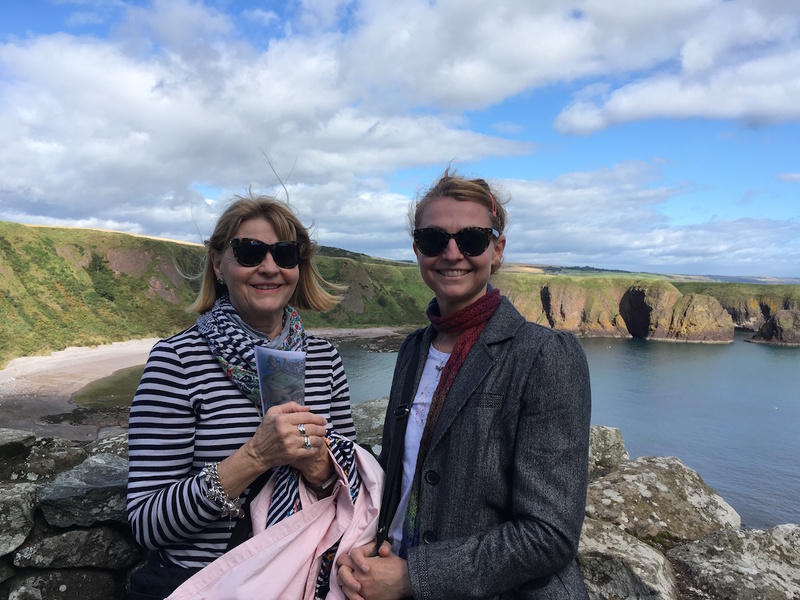 My mother is visiting and yesterday we went to Dunnottar Castle which is 20 minutes down the road from here. I have been lots of times but I never tire of the place. It’s a medieval fortress perched on top of a sheer cliff. There’s some fascinating history in this castle. The Honours of Scotland, the oldest crown jewels in the British Isles, were hidden in the castle during an eight-month siege in 1652 when Oliver Cromwell’s army was battering the fortress with cannons. When the Scots eventually surrendered the jewels were no-where to be found, having been smuggled out of the castle. I believe they are now held at Edinburgh Castle. 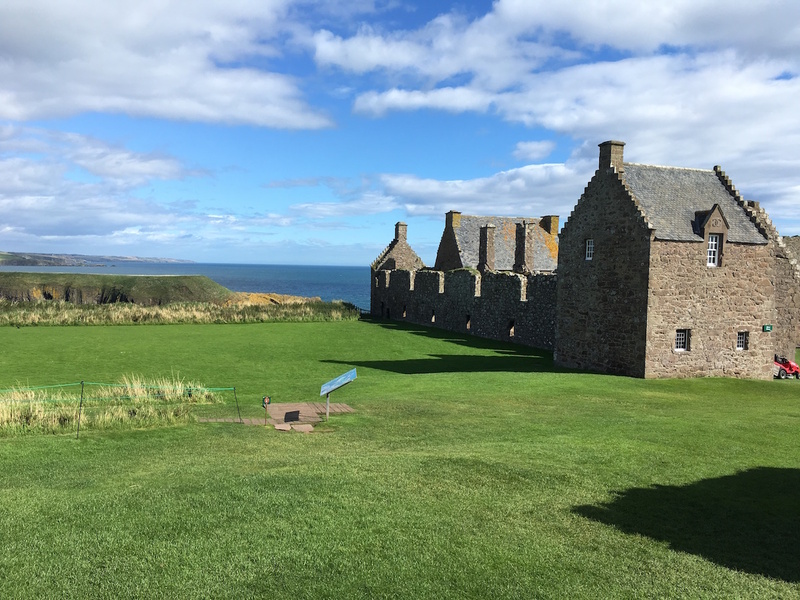 There’s more fascinating history on the Dunnottar Castle site. 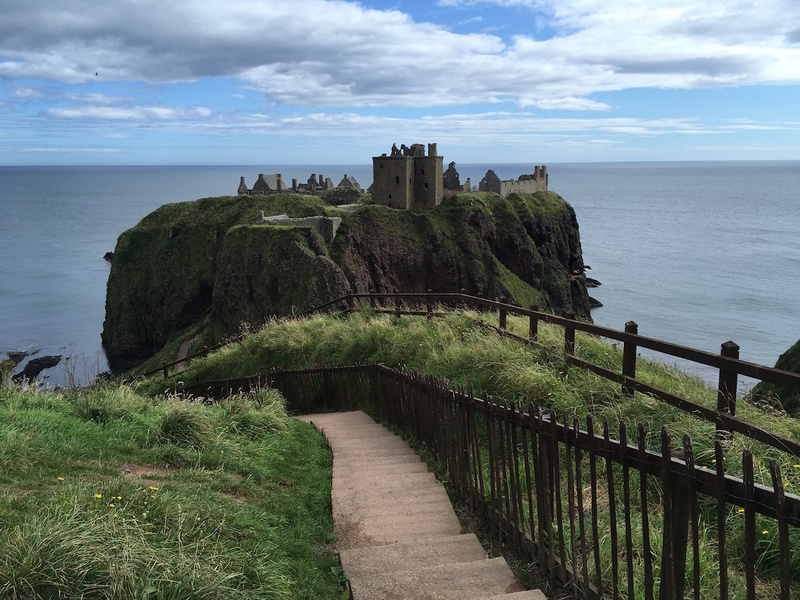 Posted in Journal, Travel and tagged castles, crown jewels, Dunnottar, Dunnottar Castle, fortress, Scotland. Bookmark the permalink. Easy, it’s not far from the main road. It would only be difficult if there was lots of snow and ice or a massive easterly storm. Yes, very easy to get to. 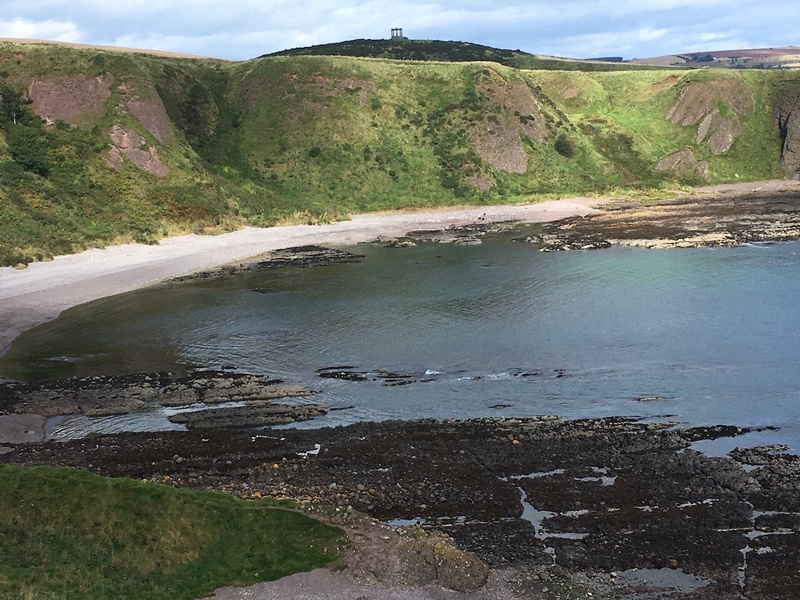 It’s only 20 minutes by car from Aberdeen and there’s a carpark a very short walk away. It’s definitely doable in winter but if it’s icy you would need to need to take care on the stone steps. There are a lot of steps. We don’t get much winter these days, so it’s easy enough to pick a time to go. Scotland isn’t covered in snow and ice for four months of the year. 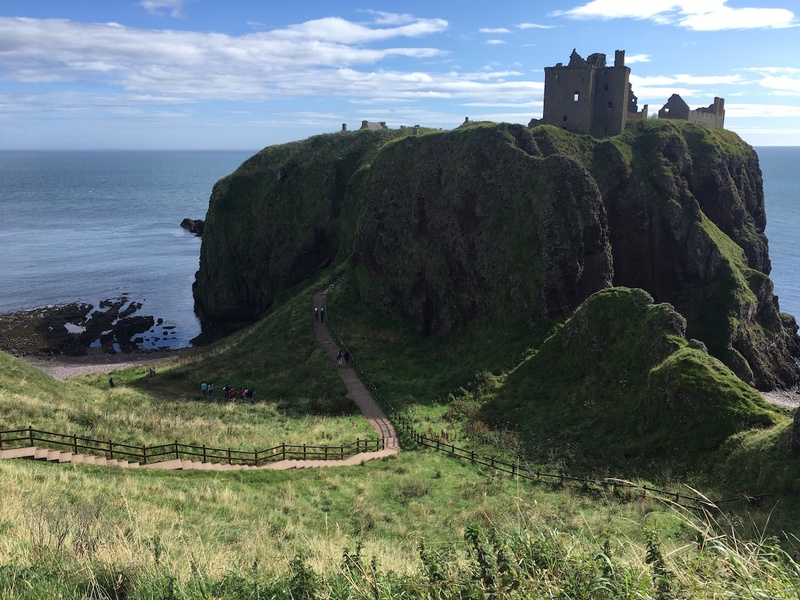 My husband and I visited Dunnottar on our most recent trip last March. It was truly spectacular. Nothing could have prepared me for what I saw when we got to the end of that first path. It’s an amazing view, I agree. It’s not just the ruin that’s perched on top of a sheer cliff, it’s that the cliff is an island.